On the art style side, we chose to use pixel style with dark color scheme. The style is not common for iOS apps and inconsistent with the general UI guideline of Apple’s products, but it seemed a natural choice when it comes to a “pixel cross” game. The central idea of this retro-looking style is to completely eliminate anti-aliased images, only use pixelated graphic elements. 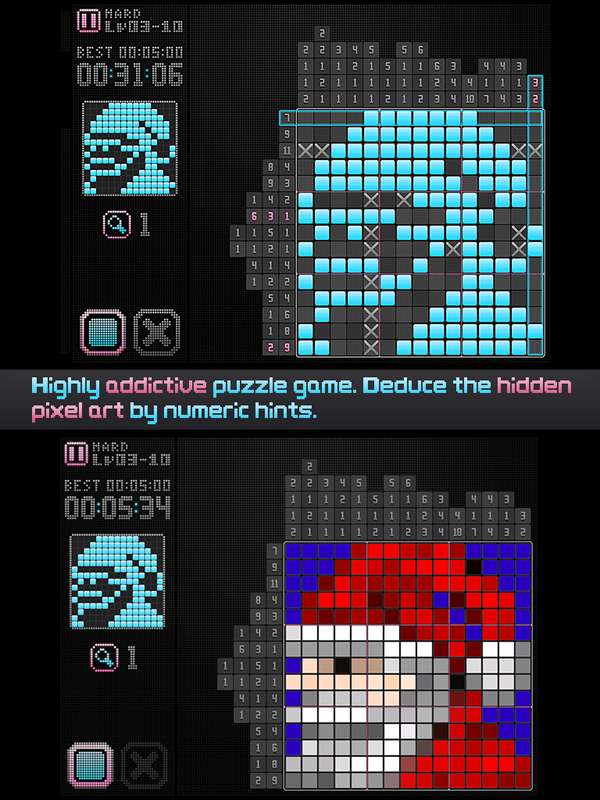 In Nintendo’s Picross DS, after player solved the puzzle, the black and white image becomes colored and starts to play a short looping animation. We quickly realized that it is not doable for a small team like for us. Yet we still decided to create a still colored image for each puzzle which distinguishes us from any other similar game on iOS. It almost took 3-4 months of Hansen, one of our artist, to finish 300+ colored images, including the warm-up time of reviving old school pixel painting skills. We were glad to see that the extra polishing added additional value to this game, which was recognized by both game reviews and player feedback. 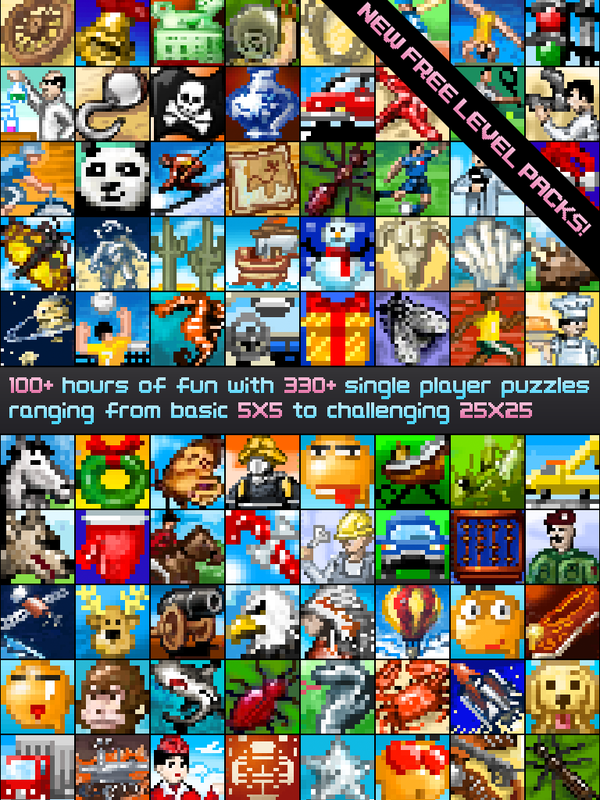 This entry was posted in Game Development, iOS, iPACROSS, Projects and tagged App Store, board, game, Games, iOS, iPACROSS, iPad, picross, Picross DS, pixel art, pixel cross, programming, puzzle by w162. Bookmark the permalink.